We could say that this blog is a ‘15-day plan for an awesome foodie experience throughout SoIN or simply the beginning of a delicious culinary exploration. However you plan to put this blog to use, we thought this would be a great way to get started. 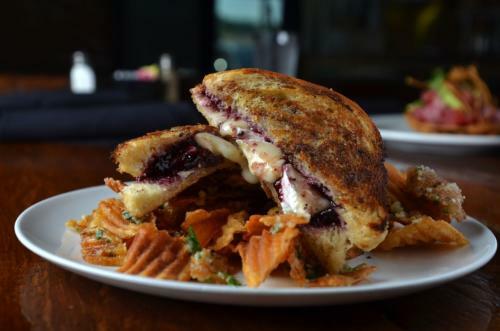 So when you find yourself staying overnight in Clarksville, Jeffersonville or New Albany, you’ll want to make a special effort to grab a bite to eat at these top 5 restaurants according to TripAdvisor. 1. The Exchange Pub and Kitchen - Historic downtown New Albany gastropub, using locally sourced meats and produce. Full-service bar, with specialty cocktails and craft beers. 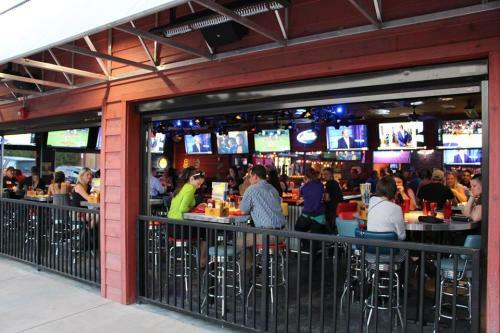 Heated outdoor patio, al fresco and indoor dining. 2. Toast On Market- Breakfast, lunch, and coffee specialties that include items such as lemon soufflé pancakes, spicy chipotle grilled cheese, and Italian pot roast. 3. Dragon Kings Daughter- Contemporary Asian fusion restaurant featuring sushi, miso, and other dishes for vegetarian, vegan, gluten-free, and fish/meat-lovers. Enjoy eight different sakes, and local craft brews. 4. Habana Blues - Cuban-inspired cuisine, with flavorful tapas and entrees. Full bar, reservations accepted. 5. Mark’s Feed Store - Local chain serving BBQ, fish, comfort sides and desserts in a casual space with a country vibe. Offers kids&apos; menu, private group room, and catering. 1. Cast Iron Steakhouse - Locally owned Cast Iron Steak House offering top-quality food at affordable prices. Serving Certified Angus Beef, hand-cut and aged to perfection. All of the dishes made from scratch from dressings to dessert. 2. Olive Leaf Bistro - Olive Leaf Bistro features Mediterranean cuisine. Pasta, entrées, desserts and specialty drinks created by Chef Jimmy Shraby reflect flavors and refined ingredients from the South of France, Italy, Spain, North Africa, and Greece. 3. The Red Yeti Restaurant & Brewpub - Downtown Jeffersonville restaurant featuring Red Foot craft brews and culinary creations like truffle fries, brisket sandwiches, pulled-pork tacos, and vanilla bourbon cheesecake. 4. Town - A Neighborhood Pub - Downtown Jeffersonville&apos;s casual Italian restaurant and bar, serving pasta, salads, and other American favorites. 5. 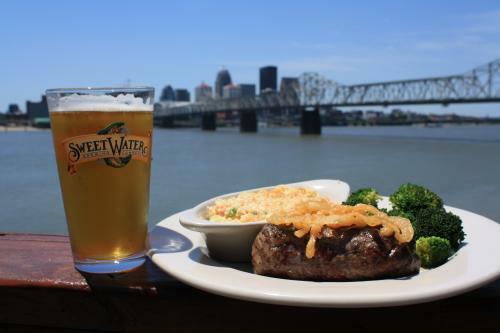 Buckhead Mountain Grill - A locally owned Southern Indiana staple for over 25 years, Buckhead Mountain Grill serves classic, scratch-made meals, craft beer, and Sunday brunch in a mountain lodge atmosphere with an unbeatable, riverside view of downtown Louisville. 1. Bubba’s 33 - Enjoy pizza, burgers, salads, and other American favorites at this family-friendly restaurant and bar. 2. Texas Roadhouse - Lively chain steakhouse serving American fare with a Southwestern spin amid Texas-themed decor. 3. Chuy’s - Chain serving "big as yo&apos; face" burritos & other Tex-Mex dishes in kitschy, Elvis-heavy settings. 4. Outback Steakhouse - Boisterous Australian-themed chain serving steaks, seafood & other hearty steakhouse fares. 5. LongHorn Steakhouse - Casual steakhouse chain known for grilled beef & other American dishes in a ranch-style space.